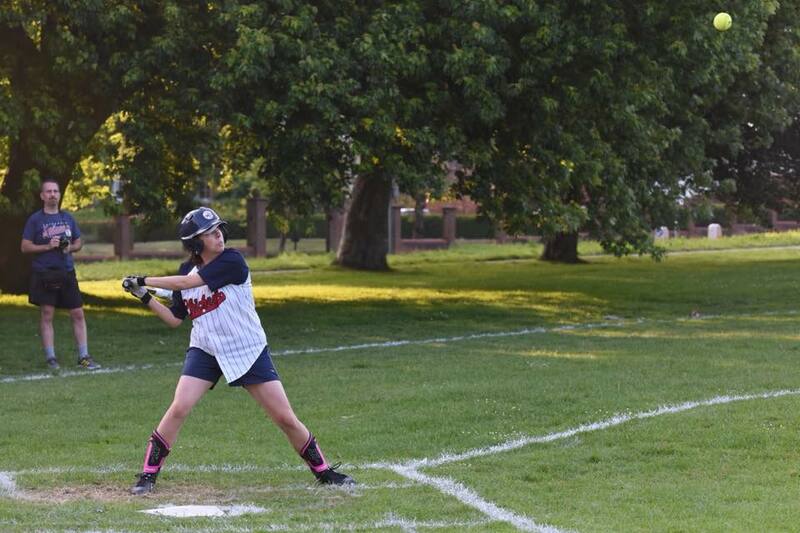 Chichester Falcons Softball Club ground out another win last week at Oaklands Park, taking their fourth scalp of the season from a higher division, against OAPs from Southampton. Batting first, the OAPs delivered a wake-up call for the Falcons by knocking in seven runs, hitting the gaps consistently despite the best efforts of the Chichester defense. However the Falcons jumped straight back into it with four runs in response, including back-to-back home runs from James Mortimore and Ally Warr. Through the next few innings the OAPs stayed ahead, but began to swing away rather than stick to base hitting, allowing pitcher Jason Mercer to turn the screw and coax them into dishing up easy catches for David Morris in centre field. Nibbling away and edging closer, Chichester added more and more runs as the OAPs watched the game start to slip through their fingers. David Piesse held strong at third base while Bronte Harvey bossed in the infield, turning the first double play of the game by gunning a pinpoint throw to Lucy Morris on first. 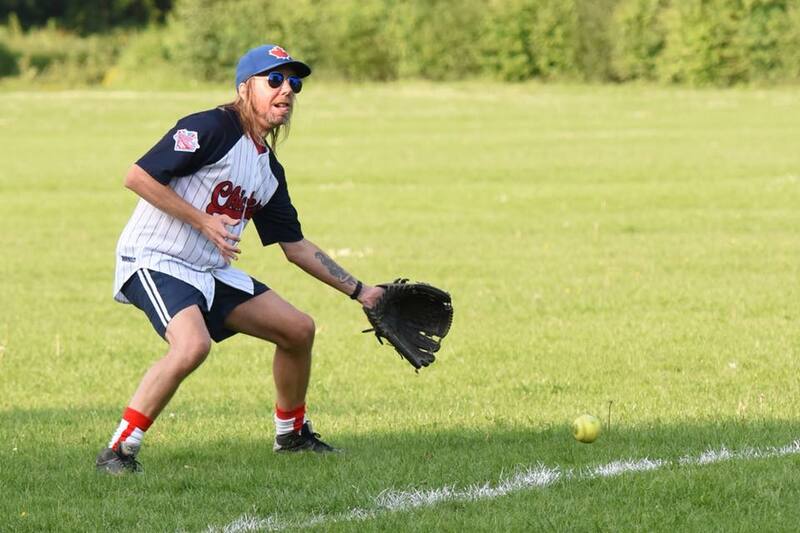 Not to be outdone, shortstop Ben Sawkins soon turned a double of his own, gathering up a ground ball, stepping across second base for the first out and lasering the ball to first for another. By now Mercer was in complete control on the mound, tying up the OAPs designated hitter so badly he was called out for stepping out of the batter’s box on two occasions, and the flyballs continued to rain down into the Falcons outfield. However, still five runs behind in the last inning, Keaton Irvine smashed a single into left, Piesse earned a walk and Hettie McNeil brought both of them in with a well-placed single. Panic ensued in the OAPs infield as the next two batters scored, thanks to a second Warr home run to tie the game with just one out. The Falcons kept working hard with both Morrises and Sawkins loading the bases, ready for Bronte Harvey to slap in the winning run to end the game 17-16 to Chichester.